Between the years 1988 and 1998 the Dow Jones Industrials increased by an average of more than 15% per year. In 1988, a gallon of gas cost $0.95 and the price of an acre of irrigated farm ground was somewhere south of $1,000. Back then, estate planning consisted of little more than updating or establishing a will, and investing meant picking a stock or going down to the local bank and purchasing a Certificate of Deposit for around 8% (take your pick!). As for retirement income planning, that was done by depositing your Social Security and pension checks. The good ol’ days. On April 14, 2000, we were all reminded of a very important and often overlooked fact: there are no guarantees on Wall Street. The 10-year period ending in early 2009 left a buy and hold investor with up to 40% less money than what they started with a decade earlier, interest rates grinding close to zero, and farm ground continuing a climb that would lead to the $10,000+/acre land prices we see today. At this point you might be wondering, “What’s your point?” It’s simple. How you prepare for retirement has changed. You see, as it turns out, ‘buy and hold’ investing is little more than ‘buy and hope.’ Asset values change at the speed of information, and the massive amount of government interaction and regulation in our economy has made it all but impossible for one individual to handle the entire wealth management process. The saying I like to use is, “It’s not what you earn, it’s what you keep that counts.” Too many seniors and retirees are taking on too much risk. But this isn’t just market risk. It is also what I refer to as IRS risk. For example, if a married couple filing jointly has a modified adjusted gross income over a certain threshold (set by Congress), then up to 85% of their Social Security benefits become taxable. This can put today’s seniors and retirees in marginal tax brackets between 30-50% every single year. 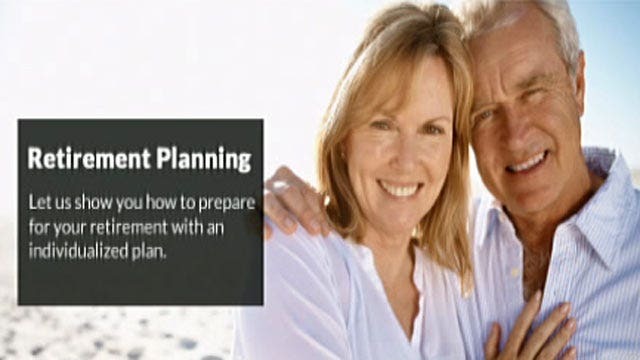 The solution is working with an advisor that understands the unique tax situation today’s retirees are faced with and creating an income distribution plan that takes taxes into consideration. Let’s say that you have $100,000 that you invest in the stock market. In the first year your account drops by 50%! You decide to stick it out because the market will always come back. In year 2 you have an amazing comeback and a return of a positive 50%! Here’s the question: Are you back to even? Because according to the sales material, you will have an average return after two years of 0%. How much money do you have? Let’s do the math. Actual return is -12.5% per year! Another myth in the financial services world is that you need big double digit returns and therefore you need to be invested in the stock market. The only reason you need big double digit returns is to replace big double digit losses. Who would have been satisfied with a zero percent return in 2008? That makes all of us. If you are having heart problems, do you want to see a cardiologist or is seeing your general doctor sufficient? Just as specialists have become a necessity in the medical field, the same is true in financial planning. No one person can be an expert in all things. Planning must involve tax professionals and estate law professionals to go along with insurance and wealth management professionals. For example, we all know that Americans are living longer, on average, than they did 20 years ago. So what happens if Mom or Dad, Grandma or Grandpa needs some sort of extended care assistance? An expert in extended care planning can help craft a suitable and effective plan to help manage the emotional, physical, and financial consequences of such an event. The same goes for the family that is trying to pass the family farm down from one generation to the next without forfeiting some of that farm to Uncle Sam. An estate planning attorney and insurance professional are both needed to create a viable solution. Anyone who obtains a license from the state department of insurance can sell you an insurance product. Any licensed security broker can sell you an investment. That model may have worked in 1988 but it won’t work today. So find yourself a reputable firm that will always treat you fairly and always have your best interests at heart. Then make a plan.